Central Florida is blessed with a series of definitive natural habitats stretching from the Wekiva Geopark to the headwaters of the Everglades. Significant portions of these systems are intact and form a boundary that buttresses agricultural and residential areas. These wild spaces are exemplary and well-studied, but there is another range of greenspaces—civic greens, community gardens, bike trails, and the pedestrian-oriented parks—that enliven the built environment with their unique gifts. 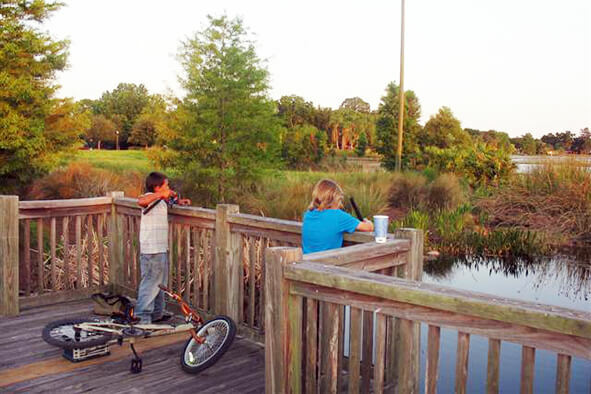 Orlando Metropolitan Greenspaces is an effort to document the quality of these special spaces that tie us to the past and can enlighten our journey into the future. Central Florida consistently ranks in the lower third of “Green City” indexes and the region’s culture of road rage is the chief culprit. Metropolitan Orlando has an abysmal driving death rate, its pedestrian death rate is the nation’s highest and bicycling is equally dangerous. Besides impairing physical and mental health, the inability to safely navigate one’s environment hurts the economy. With foreclosure rates in outlying subdivisions at Great Depression rates, Metropolitan Orlando’s real estate market is projected to be the worst in the nation in 2012. The Great Recession is instituting “a new spatial fix,” making walkable urbanism a viable option to drivable suburbanism. “A new geography of working and living—will be our only path back to renewed economic growth, confidence and prosperity,” economist Richard Florida writes. Fortunately, myregion.org introduced a vision and the East Central Florida Regional Planning Council (http://www.ecfrpc.org/) has crafted a template to transition Metropolitan Orlando on lines of “sustainable urbanism.” Metropolitan Greenspaces is a tool in this endeavor, it identifies exemplary spaces and potential projects to foment the synergy of human interaction and economy the New Geography demands. The Inspiration for Metropolitan Greenspaces comes from The Portland Urban Greenspaces Institute (http://www.urbangreenspaces.org/). In 2008, Portland topped Sustainlane’s sustainable cities index (www.sustainlane.com/us-city-rankings) due, in part, to its unique mix of walkable neighborhoods, bike trails and parks. In Portland 6% of commuters bike, while in Orlando bicyclists, pedestrians, and transit users constitute just 3% of commuters. It should be noted that Portland’s “green infrastructure” is a century-long project, it constructs laid by the Olmsted Brothers in their 1903 park plan. 2. A Walkability Score exceeding its community average (http://www.walkscore.com/) or bike trail access. Economist Intelligence Unit, North American Green City Index (Siemens, 2011) Smart Growth America, Measuring Sprawl and Its Impact (Washington D.C., 2002); Sierra Club, The Most Sprawl-Threatened Communities (San Francisco, 1998). transportationnation.org/search/Orlando; Surface Transportation Policy Group, Mean Streets Report (Washington D.C., 2004). Frumkin, Frank, Jackson, Urban Sprawl and Public Health: Designing, Planning and Building Communities (Island Press. 2004). Orlando Sentinel, “Forecast: Orlando worst housing market in the U.S.,” May 9, 2011. Christopher Leinberger, The Option of Urbanism: Investing in the New American Dream (Island Press, 2008). R. Florida, The Great Reset: How New Ways of Living and Working Drive Post-Crash Prosperity (Harper Collins, 2010), 107. Doug Farr, Sustainable Urbanism: Urban Design with Nature (Wiley & Sons, 2008). M. Houck, “Respecting Nature’s Design in Metropolitan Portland, Oregon,” in Humane Cities (U Mass Press, 2006). Bruce Stephenson, Visions of Eden (Ohio State Press, 1997).